It was a brisk Thursday night in New York, and I stood in awe of the towering glass windows before me – the sacred entrance to the Metropolitan Opera House. Clutched in my fingers was a ticket for that evening's performance of The Barber of Seville, a personal favorite. I felt an air of expectation as I walked up those steps and humbly hand your ticket to an usher, despite knowing precisely where your seat is in the sprawling 3,800-seat music hall. I was seated in the orchestra section, about nine rows back, close enough to see it all and properly immerse myself in the performance. 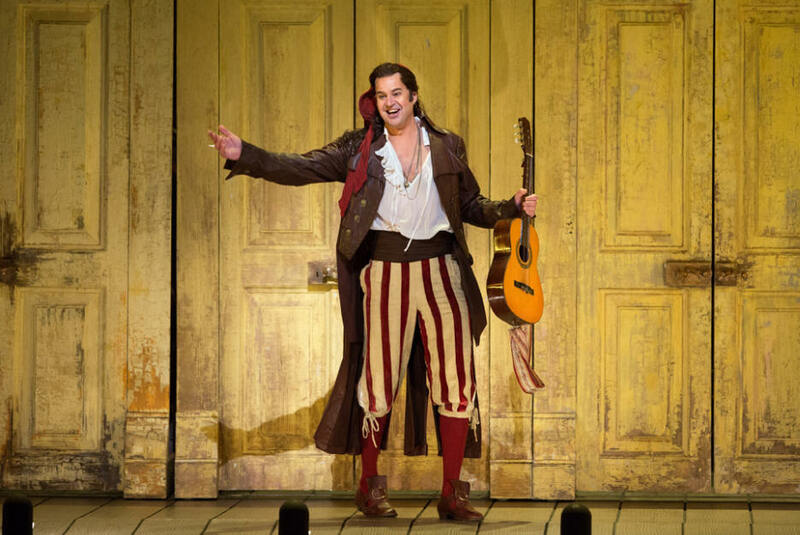 The room was a sea of red unfilled seats; my eagerness had brought me to the Met early, but I happily took my seat and watched the crowds slowly shuffle in, buzzing with excitement at what promised to be a seminal performance of Rossini's masterpiece. Paging through the program, I quickly found the biography of baritone Edward Parks, who would be playing the titular role. Having debuted nearly a decade earlier as Fiorello in the same opera, I was eager to see Parks take the spotlight. The seats had quickly filled during my perusal, and the hum of energy that can only be found in the theater invigorated me as I settled in, occasionally snatching glances at the clock on my phone, anxious for the show to begin. The lights went down and the curtain went up, and what followed was a masterful new take on a 200-year-old story. 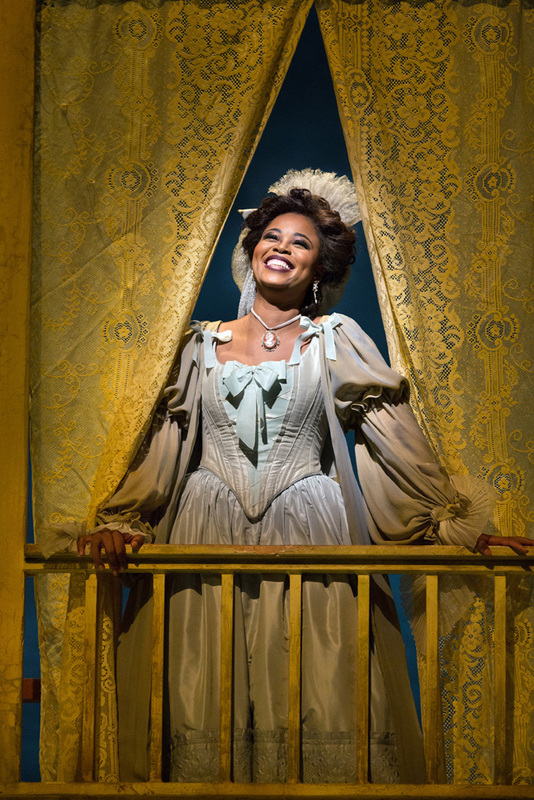 Parks was a whimsical and amusing Figaro and played the perfect matchmaker for both hilarious acts. The striking sets and vivid costumes were the perfect counterpoints to soaring harmonies and thoughtful arias, every actor's performance transported the audience to another world – one of mistaken identity, subterfuge, dangerous affairs, coquetry and endless trickery. The scenes flowed into the next with ease and grace, and a decent amount of humor and the audience was obviously thrilled with the performance. Ultimately, it is the story of love winning out over tyranny, a theme that any audience member could enthusiastically stand behind. I am hardly an opera aficionado, but I recognized some songs, including Figaro! (of course) and Don Basilio – What Do I See? 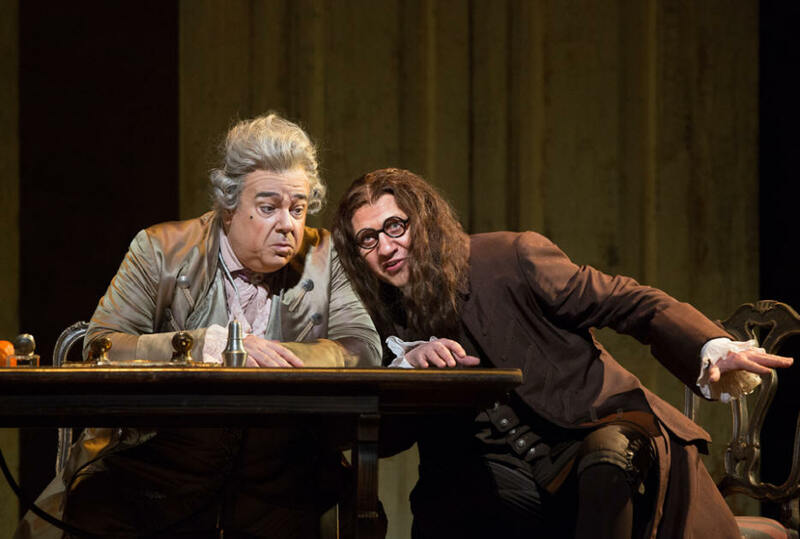 Doctor Bartolo, as is usually the case, was criminally easy to despise, while Rosina and Count Almaviva both delivered standout performances. Their love was palpable from the moment he began to serenade her on the balcony. 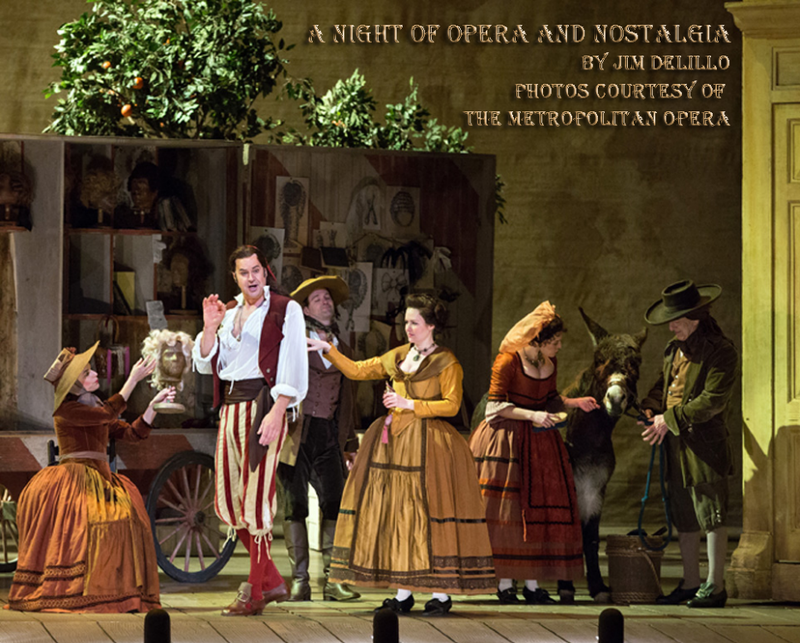 Opera is often the product of excellent music, but the engaging acting at the Met was undeniable and made the entire production more appealing. From across two centuries, the same universal story and timeless music had elevated a crowd of thousands to their feet. It reminded me of the flexibility of time and space, how a song, an idea, a perfectly crafted phrase or an untarnished memory could withstand the weight of years. When I finally strolled out of the opera house, I had no destination in mind, and the lilting contralto tones of Rosina were still ringing in my ears. As I headed in an aimless direction, I allowed my mind to wander… across the sea, to cobbled streets far from home. 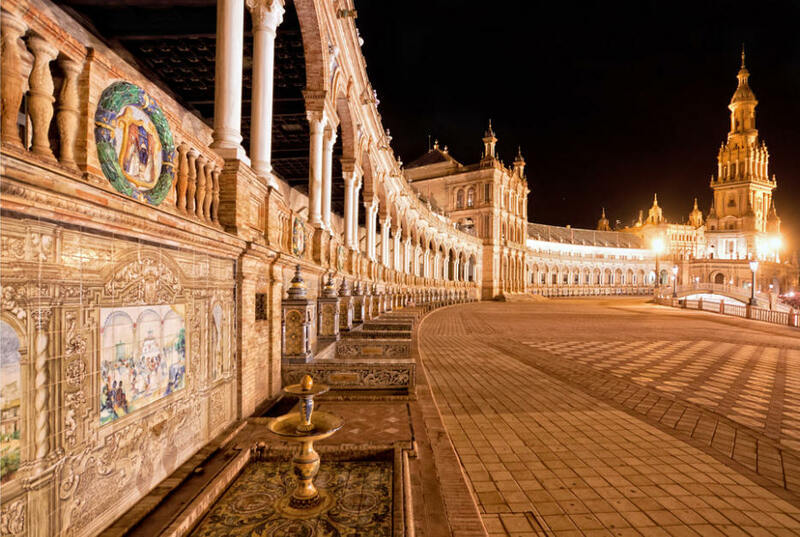 I had not visited Seville in many years, and while Manhattan's 5th Avenue was a far cry from Seville's Calle Campana, I could almost imagine myself back there. The world felt smaller in Seville; it had its private dramas and excitements, mostly cut off from the rest of the country. Turning randomly on New York streets, my mind drifted back to nights of losing myself in the avenues and tangled lanes of Seville, of stumbling across late night cafes, horchaterías and even the occasional barbershop. One was named Figaro, and another was El Barbero de Sevilla; they didn't mind leaning into the history of that legendary opera. My favorite was Bald Monkey, a more trendy and modern barbershop than many of the others, but I got one of the best haircuts there. The barbers believe in taking their time and conversing with their patrons, while also working their meticulous magic on every strand of hair. I had never met a barber quite like Figaro, but these small pockets of the community were certainly where the action happened in Seville. Barbershops in Spain were hubs of gossip and action, unlike the sterile spaces and commercial chains that have taken over in America. It was rare to hear English being spoken, and the social aspect of the barbershops sometimes meant 3 or 4 locals were talking over one another, trying to get their point across, with the barber occasionally turning his head to add his opinion. I had spoken enough Spanish to survive and participated as much as I could in those moments, but I enjoyed listening and observing the scene. The entire city of Seville was a welcoming and beautiful place, but I felt particularly at home in that corner barbershop. I particularly recall the speed with which groups of Spaniards spoke, laughed, joked and tumbled over one another's words; it was like the intertwined lines of harmony from one of the opera's pivotal quintets. There was the feeling that, despite the simple surroundings, important things were happening. In that small corner of the world, the barbers were king, and life seemed easier with them as the guardians of gossip and harbingers of love. I eventually stepped out of my reverie of Seville, back to the very different streets of New York City, a few dozen blocks away from the opera house. It had been a fantastic night and a free jaunt through nostalgia. Despite being more than a mile from the Met, and 3,500 miles from Seville, I could almost hear the closing notes of the opera, and the snip of the barber's shears.